Children often find architecture fascinating and fun. In addition to promoting children´s exploration of the built environment architecture education aims at broadening their understanding of it, supporting their identification with it, guiding them to realize the significance of the quality of it, and thus encouraging them to take an active role in shaping the future of it for the welfare of us all. The current children´s architecture education in Finland is mostly based on an understanding that architecture refers not just to buildings designed by architects but also to whole built environment from its smallest details to the largest entities. Children´s architecture education is provided as basic education on arts at visual art schools, two of them specialising in architecture, and as part of basic education at primary, secondary and upper secondary schools. A worthy addition to the formal education is the education provided for example by museums and youth clubs. Several Finnish architects, including myself, have during the last quarter of a century been actively participating in developing children´s architecture education. The starting point of the development work is often placed in 1980 when the first environmental education guidebook emphasizing built environment was published. The next considerable steps were taken at the beginning of the 1990`s after the law on basic education in the arts became effective: the core curricula for basic education in the arts were published and architecture schools for children and youths were established. In 2001 The Finnish Association of Architects and The Arts Council of Finland published a report “Discovering Architecture, Civic Education in Architecture in Finland”. The report based on a survey carried out in 1999, offers an overview of the first five years of this development work. In 2004 the survey was repeated but never analysed or published. After years of field work as an educator and a developer, and at my current position as a special advisor on children´s architecture education in Architecture Information Centre Finland I have a need to look to the past. 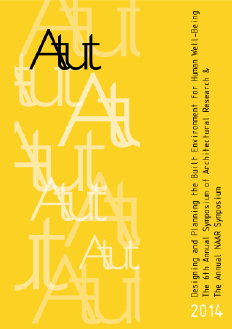 Based on the above-mentioned two surveys, available teaching material and reports as well as some official documents concerning education, culture and architecture policies, this presentation/ paper draws an updated picture about the history and the present of children´s architecture education in Finland. While providing basic information about this development work, the presentation/ article also highlights the most significant turning points in the course of implementation, and, consequently, it presents a discussion of the reasons for what is considered as pioneering work all over the world.